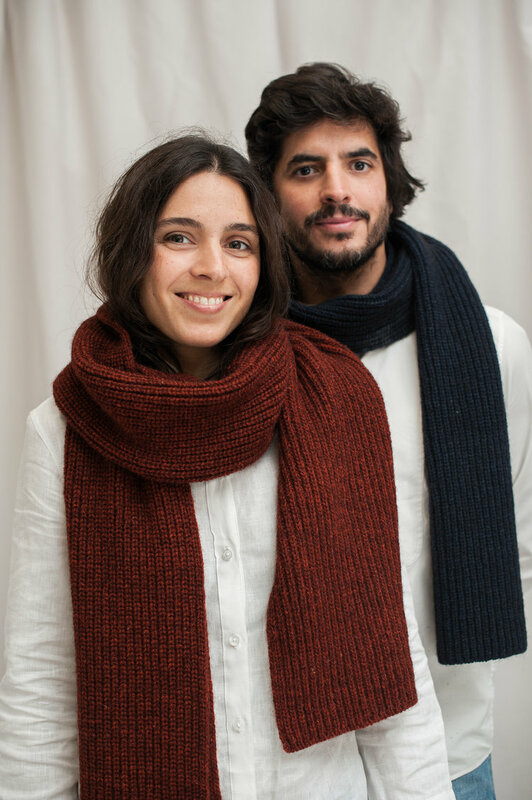 Long and wide unisex scarf knitted in a limited series and numbered by L’Envers’ workshop located near Madrid. Very warm and very soft. A versatile piece: to wear unfolded over its entire length or wrapped around the neck. Available in red, blue, brown, and grey. Yak wool 50% and 50% French merino wool spun in L’Envers’ French partner mill. One size. Length: 220 cm, width: 35 cm. L'Envers is the expression of a local know-how and a desire for high-quality, limited-edition timeless pieces. As a local brand, it weaves its reason of being around lasting and close-knit relationships with ethical workshops that keep local traditions alive. From the sketching of the pattern through the dyeing and gradation, everything is designed exclusively for L’Envers between France and Spain, home of the designer. 1.) Wash Gently: We recommend washing by hand in cold water or 30°C maximum. No chlorine. Do not tumble dry. No professional dry-cleaning. We do not recommend traditional machine wash. Never hang up your wet woolen clothes, let them dry flat on a towel so that they regain their original shape. Iron to a maximum iron sole temperature of 110°C. 2.) Fold and Store Flat: To store your jumpers it is advisable to fold them so they keep their shape. Woolen garments must not be hanged because the wool could lose its shape. Fold them and store them in a space with a moth-repeller. 3.) Brush Gently: To avoid frequent washing (that is damaging to the fibres), remember to air and brush your wooden items. You can use a special clothes brush to remove lint and stains and give your wool a fresh look.